Findings from the pilot study of 15 patients, published this week in the Journal of Neurosurgery, build upon previous clinical studies showing intraoperative molecular imaging developed by researchers at Penn's Center for Precision Surgery can improve tumor surgeries. According to first author John Y.K. 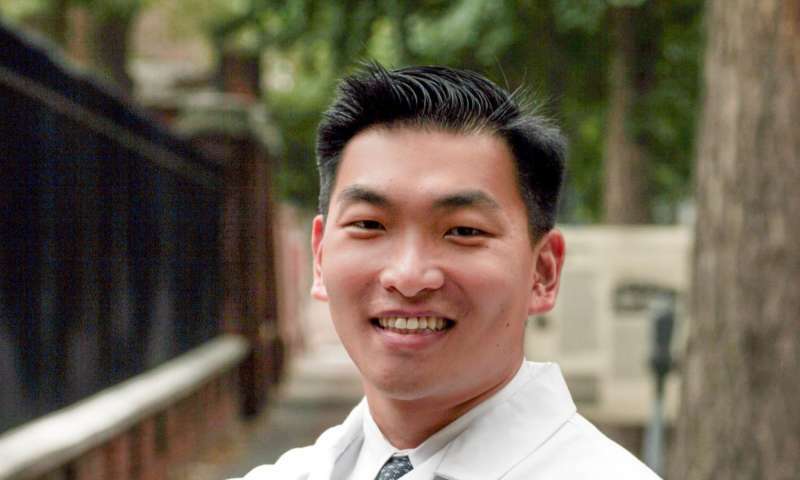 Lee, MD, MSCE, an associate professor of Neurosurgery in the Perelman School of Medicine at the University of Pennsylvania and co-director of the Center for Precision Surgery, this study describes the first targeted, near infrared dye to be employed in brain tumor surgery. Other dyes are limited either by their fluorescent range being in the busy visible spectrum or by lack of specificity. "This study heralds a new era in personalized tumor surgery. Surgeons are now able to see molecular characteristics of patient's tumors; not just light absorption or reflectance," Lee said. "In real time in the operating room, we are seeing the unique cell surface properties of the tumor and not just color. This is the start of a revolution." "Pituitary adenomas are rarely cancerous, but they can cause other serious problems for patients by pushing up against parts of their brain, which can lead to Cushing's disease, gigantism, blindness and death," Lee explained. "The study shows that this novel, targeted, near infrared fluorescent dye technique is a safe, and we believe this technique will improve surgery." Most recently, in July, Penn researchers reported results from a lung cancer trial using the OTL38 dye. Surgeons were able to identify and remove a greater number of cancerous nodules from lung cancer patients with the dye using preoperative positron emission tomography, or PET, scans. Penn's imaging tool identified 60 of the 66 previously known lung nodules, or 91 percent. In addition, doctors used the tool to identify nine additional nodules that were undetected by the PET scan or by traditional intraoperative monitoring. "This is the beginning of a whole wave of new dyes coming out that may improve surgeries using the fluorescent dye technique," Lee said. "And we're leading the charge here at Penn."